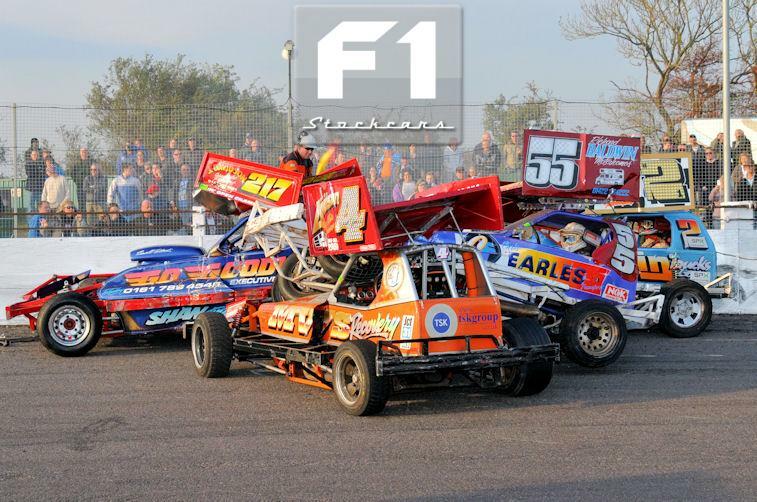 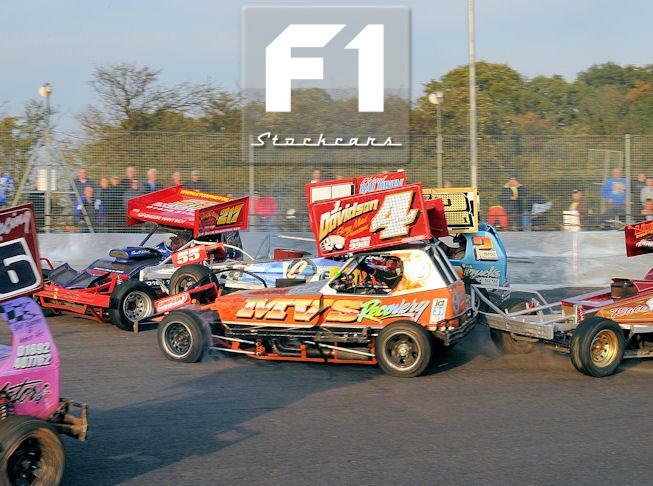 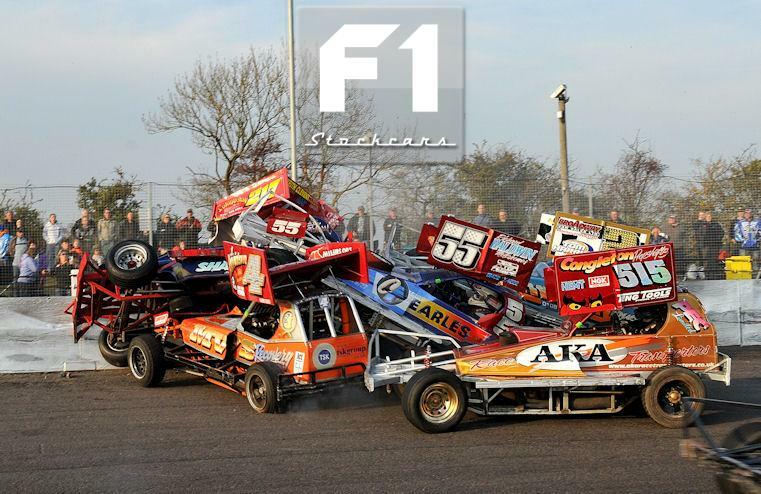 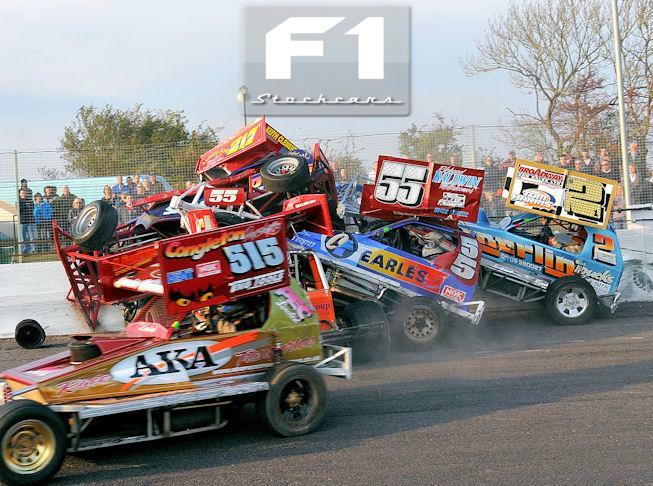 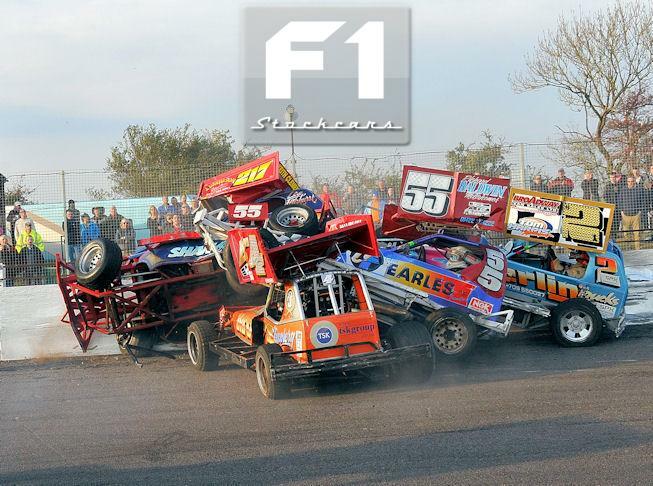 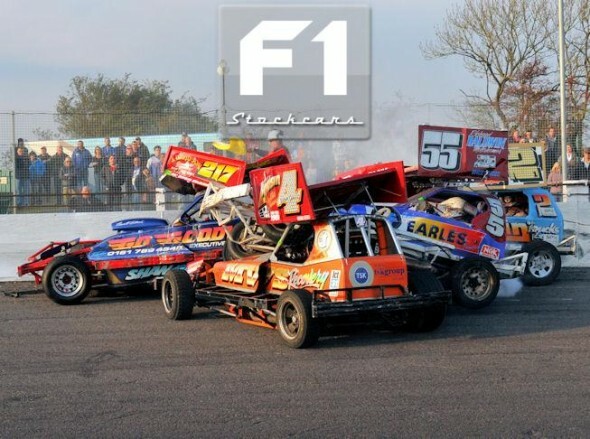 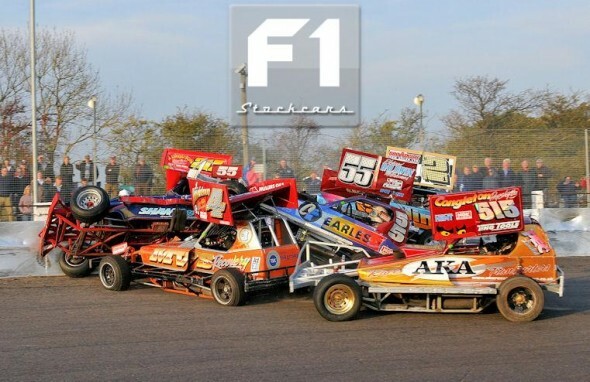 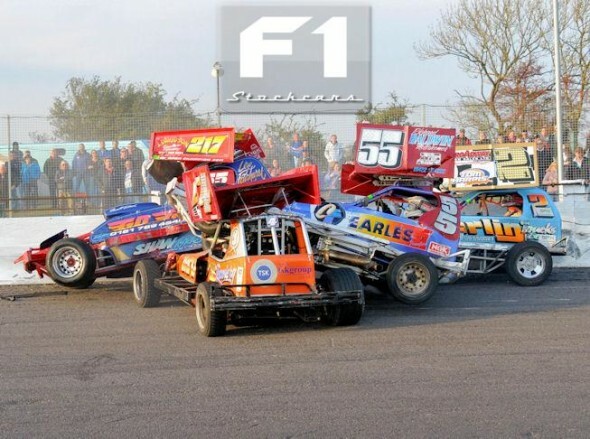 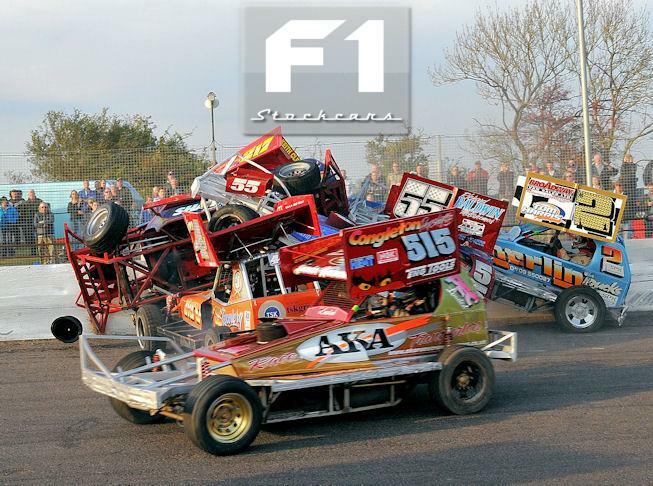 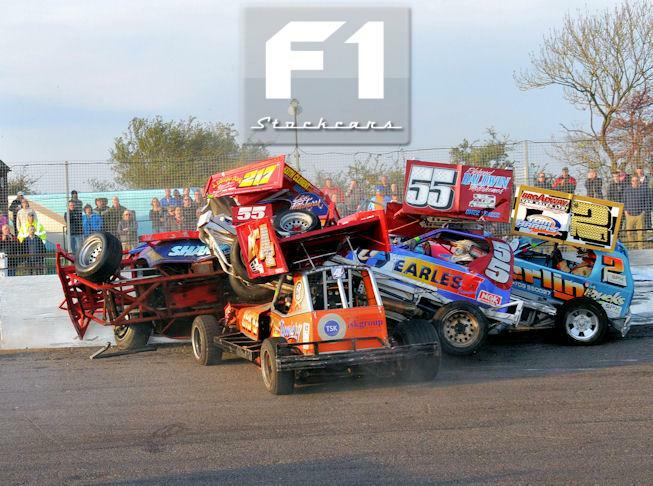 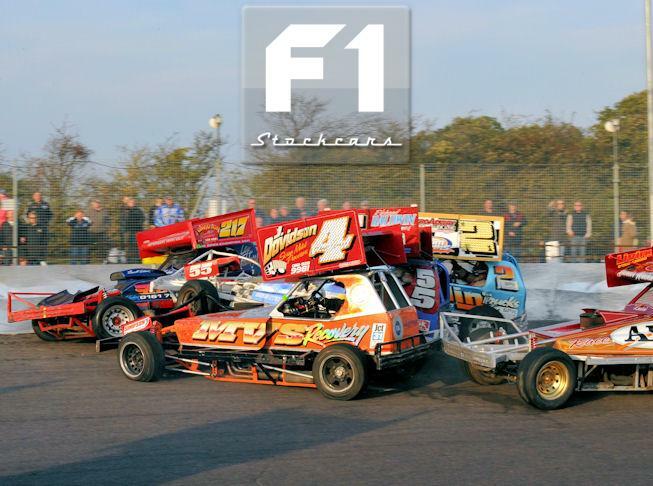 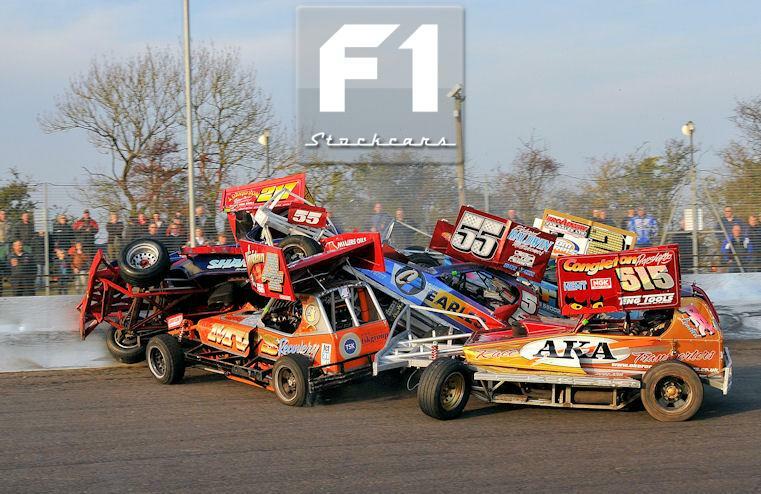 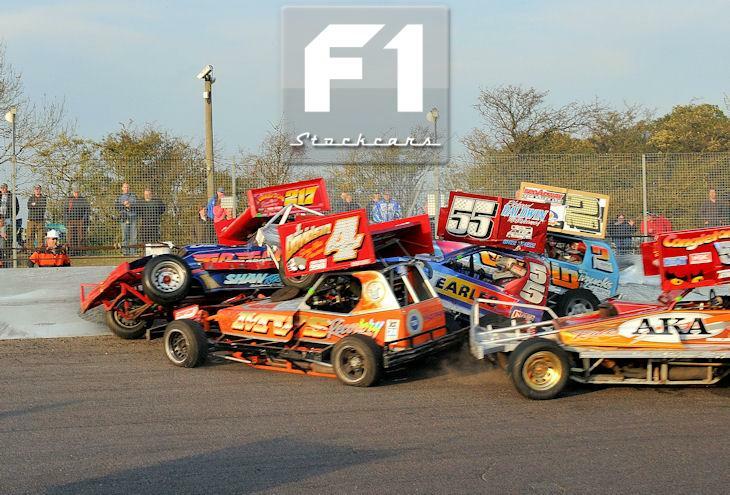 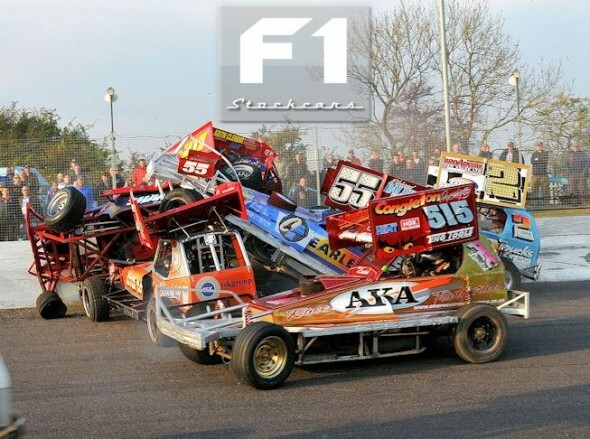 As the 2012 season approaches, F1Stockcars.com shares a flashback photo extra from the October 23rd 2011 Shootout round at Northampton. 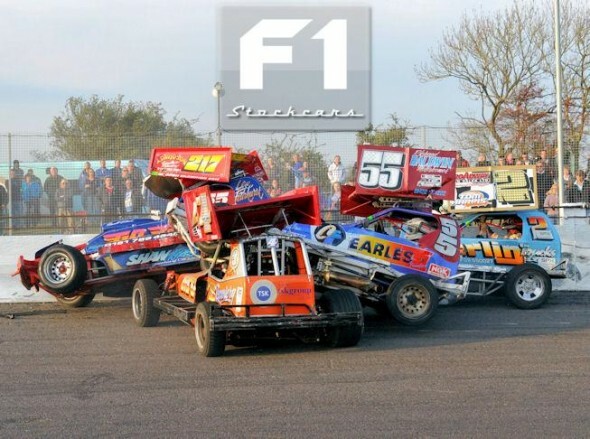 An explosive start to the final saw a big collision ensue involving the Shootout competitors, and top BriSCA F1 stock car photographer Paul Tully was on hand to capture the action. 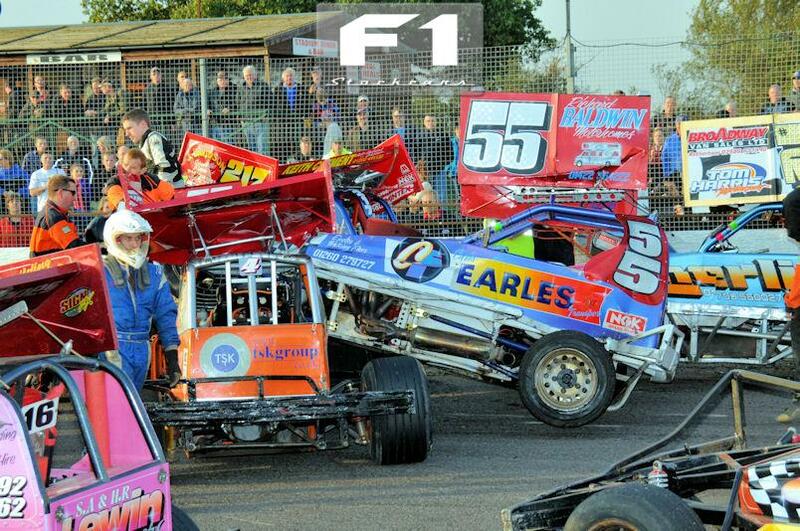 The full meeting report can be read HERE. 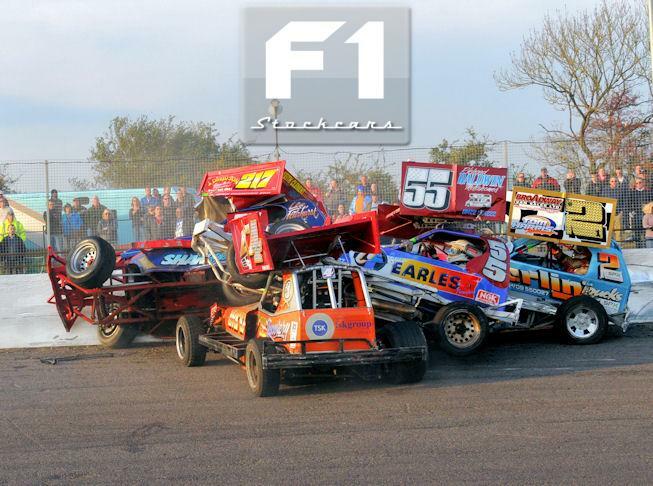 None of the drivers involved were hurt but there was a lot of damaged metal.